Brad Cole Construction Company and your subcontractors completed a challenging job of moving over 700,000 yards of material and installing 5,106 feet of large diameter concrete pipe on schedule using 41,074 man-hours with zero recordable safety incidents. This project contract included complete site development and the installation of the “first of its kind” closed-loop water supply and storage system for the cooling towers. 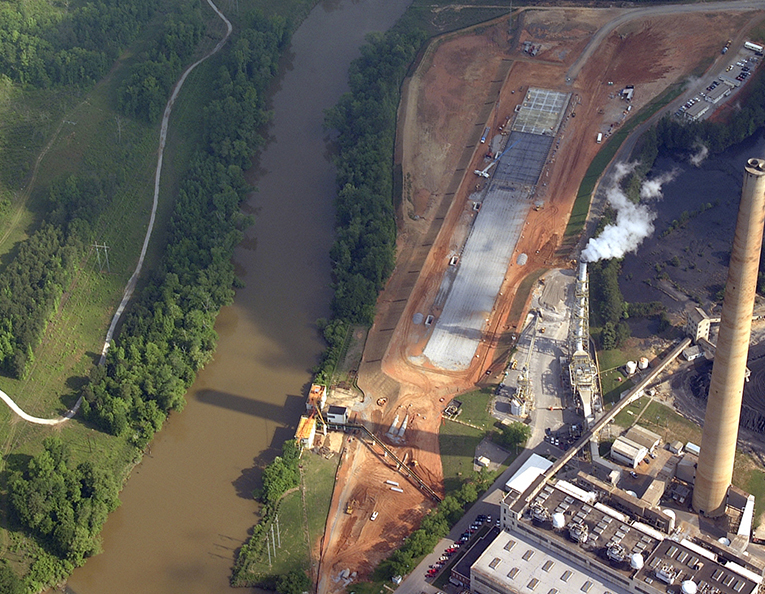 The 50 acre site required extensive undercutting and stabilization within the Chattahoochee River flood plain. Installation included approximately 5,000 linear feet of pre-stressed, cylinder-lined concrete pressure pipe 96” to 108” in diameter.